MMORPGs are one of the pioneering game genres developed and there are many gamers in the world who love this genre. Speaking of MMORPGs, it’s about role-playing games with its own unique features as classy multiplayer heroes, immensely vast worlds with monster trainers to level up. Each party to defeat the big Boss to hunt raw materials, weapons … besides people are attracted by the community in this type of game is very good, it makes the player feel like living It’s in the gaming world that we’re teaming up with fellow teammates to practice, chit chat, tease and fall in love, be in love and even get married, give birth in the game together. 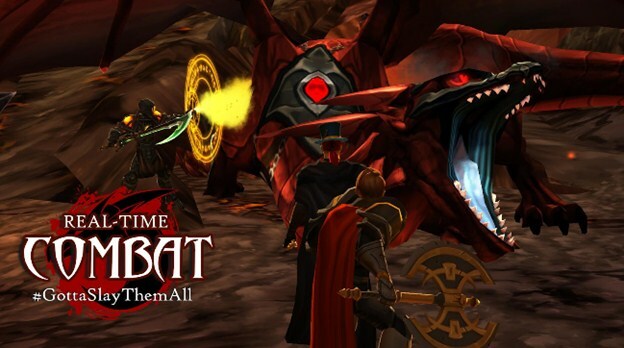 AdventureQuest 3D is a game released by Artix Entertainment LLC. 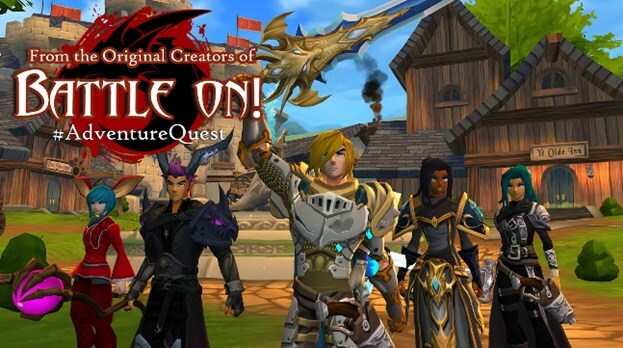 The world in AdventureQuest 3D is a thrilling and dramatic mythical world where the game will allow you to choose one of three classes with different skills and characteristics of each class when you first enter the game, Especially with the cute Q style graphics along with the colorful effects in the game, you will be fascinated right from the first moment when the game experience. 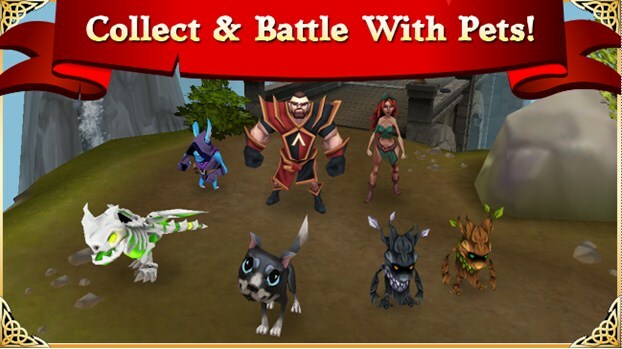 In AdventureQuest 3D, you will see level monsters from giant but incredibly cute chickens to centaurs who are small but very tankly and also extremely violent and fearful centaurs … you Mushrooms will spread the feeling of adventure from the turf in the green grass to the dark dungeon horror to train themselves more and more powerful. Arcane Legends is the second game I want to introduce to you. Arcane Legends is a game released by Spacetime Games for a long time, but the popularity and HOT of the game is not declining. On the contrary, the game is more and more attractive by the gameplay as well as graphics cute, friendly with people. The game features a stylish European-style 3D graphics that impresses players from first sight. However, when you experience the game, you will encounter the most outstanding points of the game through the battle with the giant Boss, equipment system and equipment upgrades varied. In particular, your “pet” can fight. Also, it should be noted that the highlight of the game is the PvP form where you can try your hand at other players to measure their “pro”, and also various types of PvP different. To serve the player, this feature will help you do not feel bored when entering Arcane Legends. The third game I want to introduce to you is Aurcus Online developed by Asobimo, Inc. A game set is a dark fantasy world full of aggressive monsters are destroying the world. The game gives you a lot of customization at the character selection stage, from which you can create a character with a unique appearance that does not look like any other character. You need to team up with each other, together. Make a quest, hit the boss … and train yourself more powerful to be able to kill the monsters out there or sometimes PvP with other players anymore. The interesting part of the game is the unique skills and combos, which require the player to be a little tricky to perform these beautiful attacks. In addition to the need to mention the sharp 3D graphics of the game, it feels much more real and beautiful from maps to the Boss, the monsters on the train to the character style. 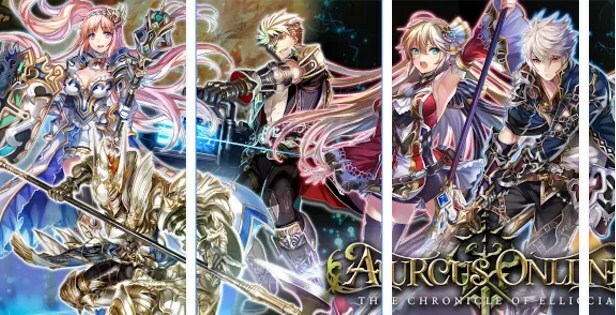 Avabel Online is a game that has been around for a long time like Arcane Legends, but developers like Asobimo, Inc. have been closely following the game for years. Evidence that there are many updates, innovations of the game to stick to and serve the needs of players more. 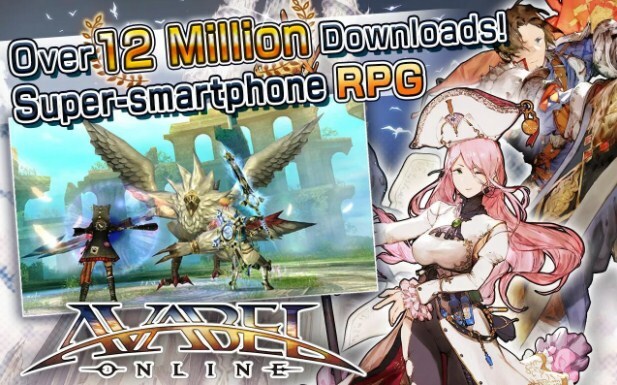 While Avabel Online is similar in style to other MMOPRG titles, but when you enter the game, there are a lot of things to do in the game and you will be attracted at times when you do not know. Your impression of this game is that it is a massive battle with up to 1000 fighters where you can lash and slay it. Although the game is sometimes lag or buggy from the server but most of it still works well. 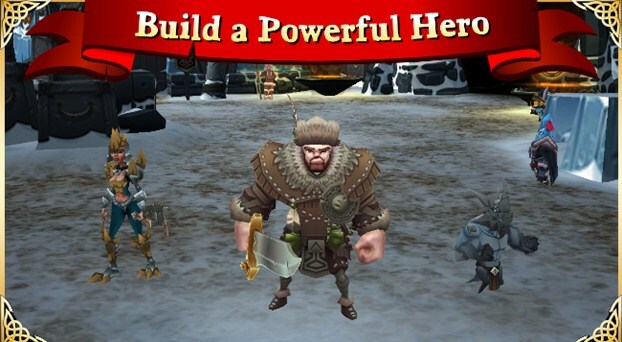 The fifth game in this article is Celtic Heroes, a game developed by One Thumb Mobile Ltd. Although Celtic Heroes is not very popular, but its play is quite interesting to players. The game has a graphic style that adheres to Celtic – a typical European style. 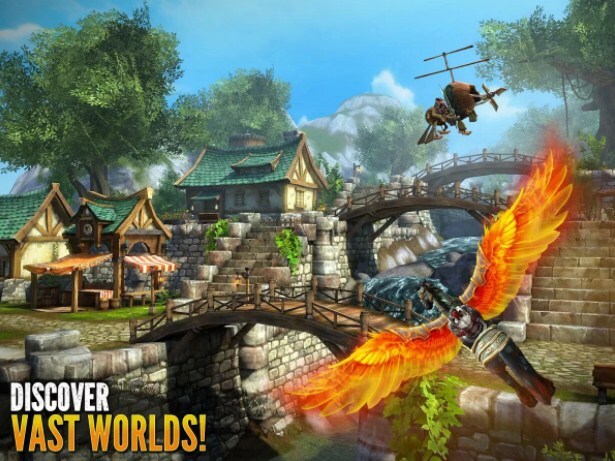 The game also has many familiar features such as monster train, dungeon, party boss, pvp with other players … but the interesting part of the game is that you can exchange equipment with other players, a feature rarely seen in MMORPGs at the present time. Also, when you enter the game you will encounter characters with the armor shining brilliantly enhance the majesty of the character. In addition, the game offers up to 5 character classes for players to choose and experience. An extremely successful title in the Dungeon Hunter series. 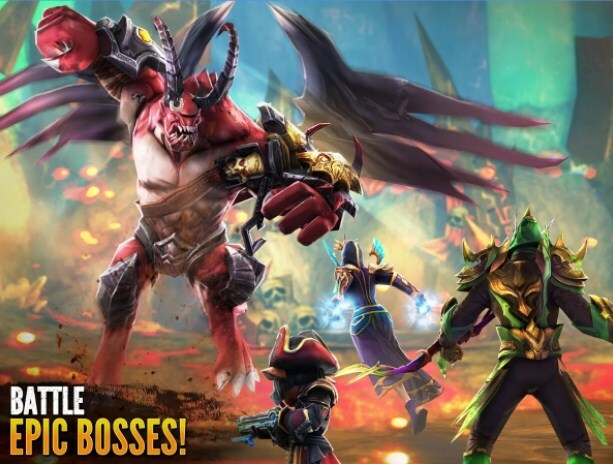 Inheriting the quintessence of the previous series, Dungeon Hunter 5 was Gameloft’s spell to become a game that was worth its price. In any game, most gamers will focus on two main issues is the game picture is beautiful? Is the gameplay attractive? And Dungeon Hunter 5 fulfills all of these factors, even surpassing them. Firstly, the game has a sophisticated 3D graphics background, ranging from the helmet to the armor and sharp lines on the character’s weapon bar. Simply by looking at it you know the character or the Boss is applauding or laughing at you, the graphics are enough to know how good it is. 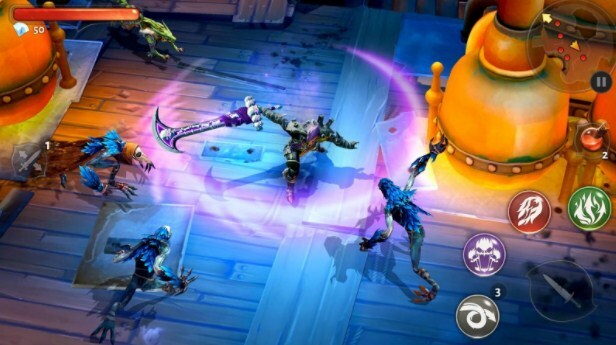 Secondly, the gameplay of Dungeon Hunter 5 is impressive. The game is set in ancient Asia, where you will discover mysterious stories, confront ancient challenges and be fascinated by the forgotten ancient treasures. In addition to that, with beautiful skills, dynamic animation flexibility, dungeon system, party boss, guild war, coop mode, PvP … all are reasonably designed and surprisingly attractive can be expressed in words. Third, the game has a perfect sound design. Imagine you are playing a game that even bee wings beat you can hear when approaching the fineness of the game must be like? There is also a free to play free online game from Asobimo, Inc. In the game there will be no clear character divisions, all you have is a skill tree and depending on the player, there will be a different way of gaining a different character. . This is a unique feature of the game. There are also coop modes for party players to overcome campaing in the game. Images in the game will make you feel like a magical fantasy world. Besides, you can also create your own types of weapons that are accompanied by abilities and abilities that only you possess can use. Warspear Online is a game released over the years by Aigrind. It’s also because of its longevity that when you enter the game, besides having a lot of good features, you are also immersed in a huge community of players. The highlight of the game is that it uses only 2D graphics, but the gameplay is extremely attractive. 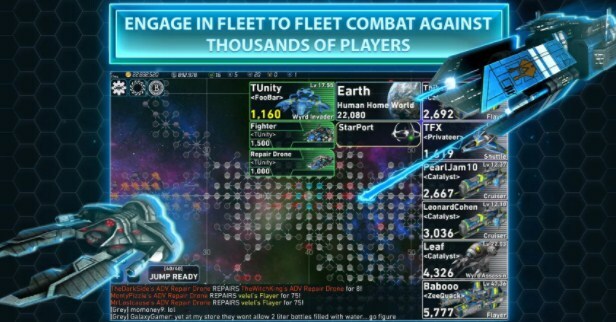 The game has nearly 2000 big and small missions, more than 150 achievements set out to challenge your limits, especially PvP systems with 5vs5 mode extremely interesting and different terrain and environment. 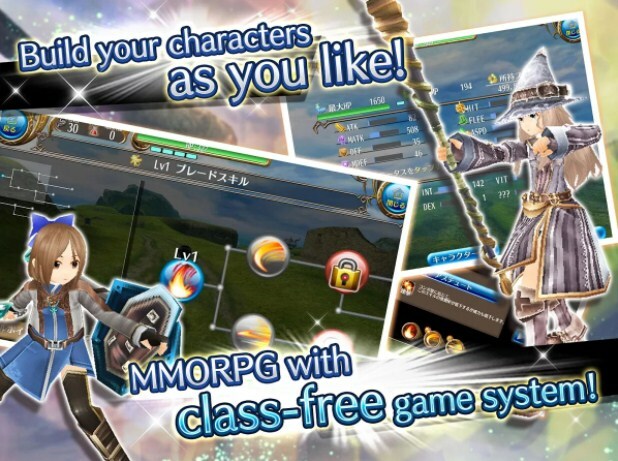 Besides, it also has to mention the rich character system of the game with 12 classes for you to choose. Add a feature that you are quite fond of that you can buy items suitable for you in the shop system. And if you are not a financially proficient player, mind you that you can still create your own gear, but it takes time and raw materials to make. Ninth place in this article is Goddess: Primal Chaos. 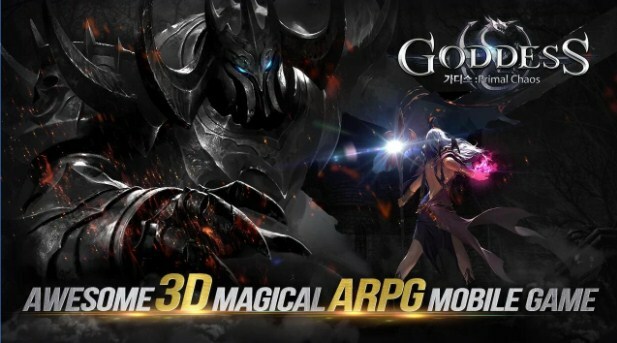 A new 3D game released in 2016 by koramgame. With the advent of the game, the game has many refinements and uses the most advanced technology. So when entering the game, the monster coming from the graphics and effects in the game will shake your heart. From the brightness of the body armor to the bounce of the character’s hair or the fierce eyes of the enemy are shown extremely excellent. Game has 3 character classes for you to choose from, including knight, assassin and wizard. You can try out other players via PvP 1vs1 or up to 3vs3 to meet your solo or teammates needs. In addition to the beautiful costumes, angel wings or devil wings full of confusion and the riders extremely majestic and beautiful. 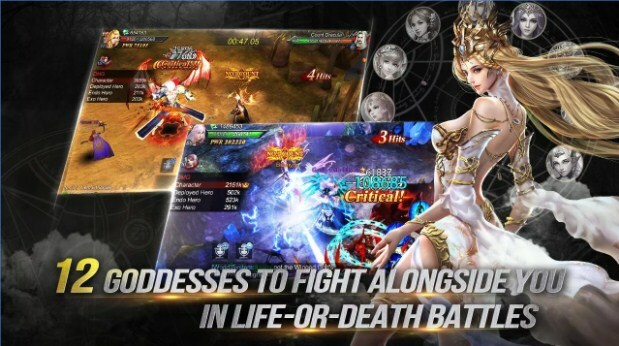 In addition, you will have to gasp and evade the Goddesses in battle to serve you. 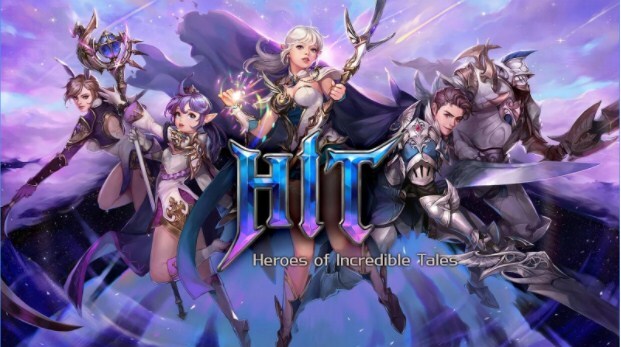 HIT is one of Nexon’s successful MMORPGs from Korea. HIT’s play style is similar to other games of the same genre, you control a character and participate in a mysterious world along with other players online. The highlight of the game is the huge items system, the quest, the quest is always updated new to the player is not boring, besides the game support many devices to players more accessible game. The game also impressed me at the stage voice character when exporting techniques. You will experience this most clearly through PvP 1vs1 matches or in the arena of up to 6 players. In addition, you will also have to admire the beauty of the graphics of the game through the use of Unreal Engine 4 technology. An interesting game in this list is developed by Spellbook that you want to mention to you. Unlike ordinary MMORPGs, the character you control is a space ship. The game is set in a fierce space battle, your task is to destroy the aliens, collect materials, get the resources as well as treasure to upgrade their displacement increasingly advanced and stronger. The game is supported on many platforms such as Windows, MacOS, Linux and Android, iOS. Asobimo, Inc. is indeed a big man in MMOPRG development. And Izanagi Online is one of them. The game will bring a new dimension to you because of the interesting game context, which is the heyday of Ninja. In the game you will see images associated with Ninja such as the jungle full of old trees, the village of Ninja mysterious or the town at night and the remnants of the Ninja. You will have four Ninja clashes to choose from with various weapons such as Swords, Spears, Hammers or even Guns. The game has quite a lot of copies as well as the quest for you to conquer. 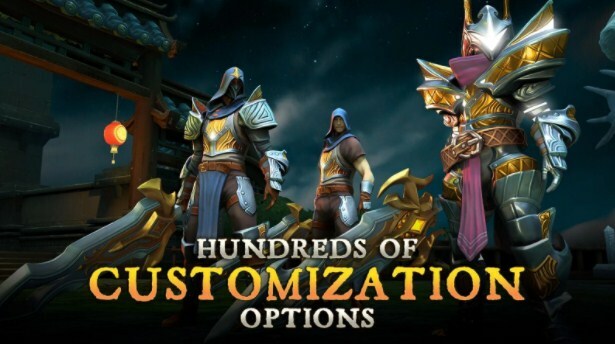 Although the community in the game is not unique in the game but compensate for the novelty in the game will conquer the fans of Ninja game genre. Game 13 is a game developed on a pixel map similar to minecraft, you will see the characters are shaped like the close Lego. However, the context of the game is not so bright. 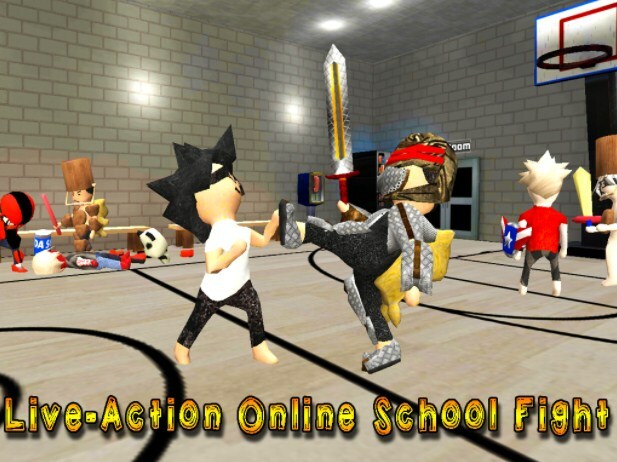 Enter the game you can customize your character such as wearing a balo, school uniform, headphone … and join the fight on the school grounds, no, in my opinion it looks like a big yard in 1 more prison. 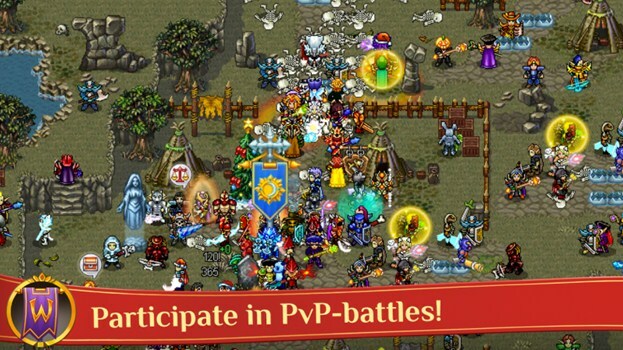 You will also have some quests to perform, Clans can join and participate in large-scale Clan Wars … However, with the gameplay, I think it’s a little different from MMORPGs. The 14th game you would like to introduce to you is a classic 2D-developed game developed by RicardoGzz. You probably know, compared to the game with modern 3D graphics, the game has a 2D graphics style until now still hold important and attractive position with a large amount of gamers in the world. The feeling of playing classic 2D games will be very different, it will be very strange, according to myself, players will put more of their mind, feelings and imagination into more. 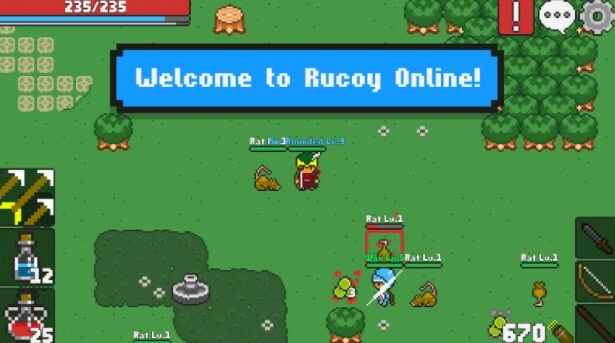 And Rucoy Online is one of the games that make that feeling the most obvious to you. There are three character classes and you will be able to control them all by converting them. You will immerse yourself in a colorful open world. 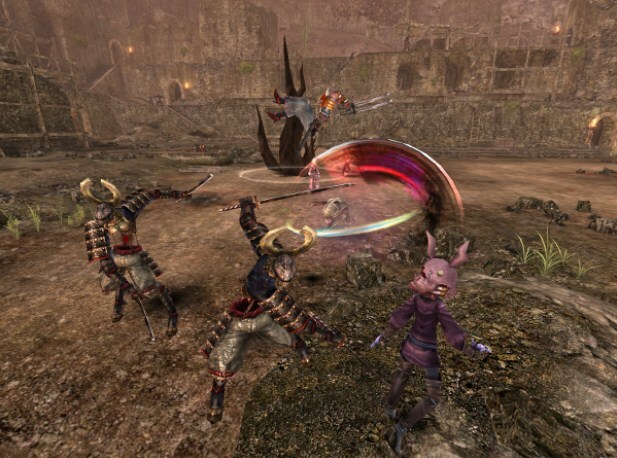 The game also features the MMORPG line such as mission, PvP, hit Boss … however, generally the game is light and bright gameplay. First of all, I sincerely thank you for trying to read to this last game because the article has come a long way. So, do not let your long legs, the last game I want to send to you is a game can not not experience right after you read the review line. How will your senses feel when riding on a black dragon and his comradeship with legendary mountaineers such as fire horses, devils, giant dragons … flying in the sky and the same Each other kill the monsters come from a mysterious evil power somehow? Order and Chaos Online 2 will let you experience that feeling. A magical world from the coldest of polar regions with majestic mountains surrounded by year-round snow to the palaces of warm sunshine, The wise and agile archery geniuses, all created a beautiful picture is waiting for you to discover.